Sensory processing refers to the ability of the brain to receive input from the environment through the five senses, organize and process that information and use that information to interact with their world. 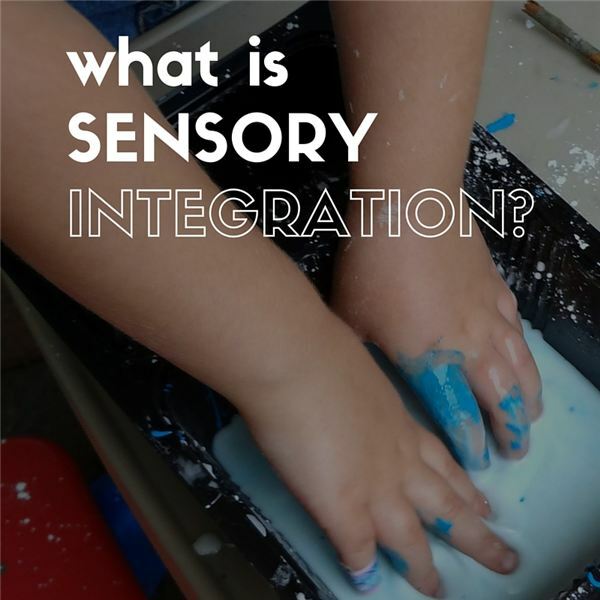 The ability to take in this input- including sounds, lights, textures, motion and gravity—and respond appropriately is known as sensory integration. Children differ in their ability to handle to amount of sensory input they receive. For children who have difficulty processing this input, there are strategies teachers can use in the classroom to help meet the individual needs of each child. Children who respond too strongly to sensory information are considered sensory avoiders. These children are over-responsive to one or more sensory systems (touch, visual, auditory, taste, smell, movement or position). Their brains are unable to cope with the input appropriately and they will try to avoid certain situations in which the environment is too overwhelming. This results in children being unable to participate in some group or hands-on activities and may cause them to experience inappropriate behaviors that affect their learning opportunities. These children respond too little to sensory input. They are always seeking more and more stimulation from their environment and never seem to be content. They may constantly seek movement by running and jumping around the room. They may mouth objects, enjoy messy activities and be more interested in the sensory bin in the classroom, never seeming to get enough. Children who are under-responders do not seem to notice input from one or more sensory systems. These children may be quiet, withdrawn and slow to respond to their environment. They may not respond to pain or auditory requests. They may also not want to move around a lot and may seem clumsy or awkward in their movements. Organized Space: Keep the room clear of clutter and each center organized and well defined. This helps the children feel safe and secure because they know where everything should be and can be independent in their play. Lighting/Visual: Being aware of the effect lighting can have on the classroom is important. Artificial lighting can be visually uncomfortable and can cause a child to react negatively. Natural lighting is beneficial. Having lighter and darker spaces throughout the room can help the child have an opportunity to escape a stressful area. Having blackboards available to use as backgrounds can help limit the visual input from books or other objects. Noise Level/Auditory: Use a moderate voice level. Provide soft surfaces throughout the room that can absorb louder sounds. A quiet space with a soft sitting surface, blankets, pillows, etc. will help drown out other sounds and give a place for the over-stimulated child to calm down and reboot. Adjust the volume of music and remember that rhythmic music will help calm a child, rather than fast or up-tempo music. Tactile: Provide multiple opportunities for different textures throughout the classroom. Sensory tables can have sand, water, playdough, straw, Jell-O, etc. that the children can feel and explore at their own pace. Adding texture to storybooks by gluing felt or sand paper to the pages will help sensory seekers interact more with books. Offering multiple sensory experiences in the art center will also add opportunities for increased engagement. Some examples include adding sand to finger paint or using scented markers in place of typical markers. Keep in mind sensory avoiders may have difficulty with these activities and will need guidance and support when introduced to them. Movement/Balance: Children sometimes need lots of movement or they may be cautious and resistant to movement activities. Providing activities to support both of these needs is a challenge. Running, jumping over something or kicking a ball are good starting places for children who needs encouragement to get their feet off the ground. Children who need large amounts of movement in order to “get it out of their system" and settle down for more structured activities can benefit from climbing, swings or jumping on trampolines. Body Position: Children know where their body is in the space around them through input received through their joints and muscles. Children who receive too much of this information may appear lazy or they may resist activities that are hard for the body to do, such as climbing or pushing heavy things. Children who do not get enough of this sensation may play rough or never seem to get hurt when they fall down. These children need an awareness of this sensory input in order to have adequate body awareness in space to develop coordination. Teachers can provide many types of gross motor and fine motor activities that encourage added effort, such as playing with balls, slides and heavy work opportunities. Add resistance to typical objects like creating texture on a writing surface and having children paint on a vertical surface. Through observation of a child’s interaction with his or her environment, teachers can provide and adapt every day materials to support all children’s’ sensory needs. Isbell, C. and Isbell, R. (2007). Sensory Integration: A Guide for Preschool Teachers. Gryphon House, Beltsville, MD.